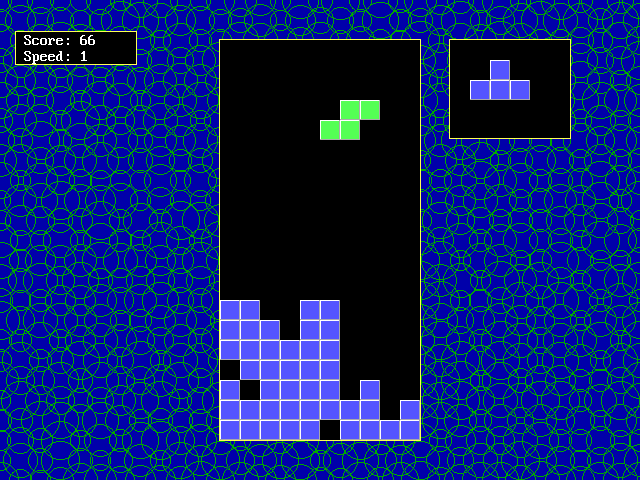 F-Tetris is a nice clone of the classic tetris game written in QuickBASIC. It’s clean, color and even supports a joypad (or joystick). It has very small hardware requirements and a black/white mode (for really old systems). The hi-score table contains 12 best record.